Whiskey Island is a Romantic Private Island rich in history-capturing the ambiance of the past. 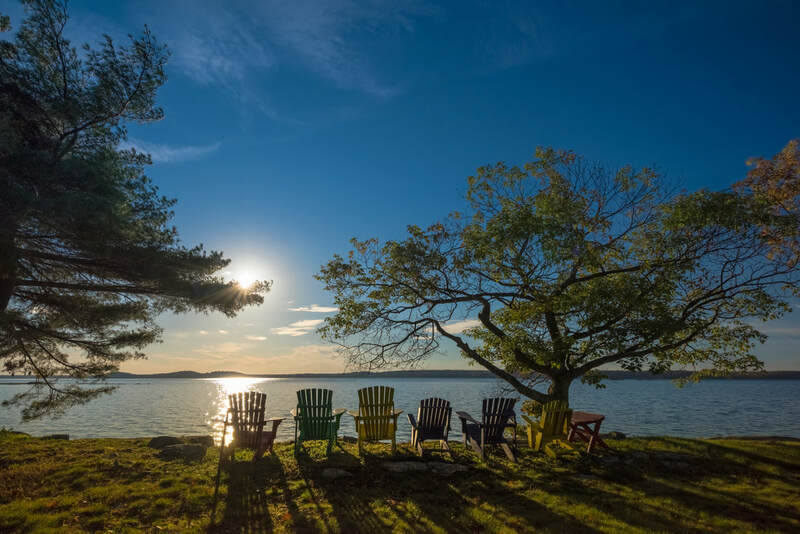 One of the oldest island cottages in the 1000 Islands, this island is perfect for family getaways, or for that romantic adventure shared for two. With spectacular sunrises, sunsets, starlit nights, warm breezy days, and an ever-changing crystal clear river, the experience will leave you feeling refreshed and awakened with the spirit that is embedded there. Fishing, swimming, boating and relaxing are Whiskey Island's pleasures. She is a muse for writers, artists and musicians alike- She is a muse for the soul. Whiskey Island is located at the southwest end of the Thousand Islands along the US and Canadian border at the head of Grindstone Island, on the Saint Lawrence River. Ottawa is just 1.5 hours by car; Montreal is 2.5 hours and Toronto is 3 hours. Clayton is 1.5 hours by car from Syracuse and 2.5 hours from Rochester. Looking for romance, excitement and relaxation in the Thousand Islands? Whiskey Island Lodge is the perfect setting for your family reunion, event, or vacation. Panoramic views and gorgeous sunsets await you. Weekly Rentals are 7 days and 7 nights. "Life is better on the River."